The term Laser is the acronym for Light Amplification by Stimulated Emmision of Radiation. A laser light is monochromatic, collimated, and coherent. A laser is a device that produces such a light. Low level laser therapy (LLLT) is used by some physiotherapists to treat various musculoskeletal condition. LLLT is a non-invasive light source treatment that generates a single wavelength of light. It emits no heat, sound, or vibration. It is also called photobiology or biostimulation. LLLT is believed to affect the function of connective tissue cells (fibroblasts), accelerate connective tissue repair and act as an anti-inflammatory agent. Lasers with different wavelengths, varying from 632 to 904 nm, are used in the treatment of musculoskeletal disorders. Eyes: Do not aim laser beams into the eyes and everyone present should wear appropriate safety spectacles. Cancer: Do not treat over the site of any known primary carcinoma or secondary metastasis unless the patient is undergoing chemotherapy when LLLT can be used to reduce side effects such as mucositis. LLLT however can be considered in terminally- ill cancer patients for palliative relief. Pregnancy: Do not treat directly over the developing fetus. Epileptics: Be aware that low frequency pulsed visible light (<30Hz) might trigger a seizure in photosensitive, epileptic patients. The adverse effects of LLLT have been reported to be no different from those reported by patients exposed to placebo devices in trials. ↑ Tumilty S, Munn J, McDonough S, Hurley DA, Basford JR, et al. Low level laser treatment of tendinopathy: a systematic review with meta-analysis. Photomed Laser Surg 2010; 28(1): 3-16. ↑ Chen YT, Wang HH, Wang TJ, Li YC, Chen TJ. Early application of low-level laser may reduce the incidence of postherpetic neuralgia (PHN). J Am Acad Dermatol. 2016;75(3):572-7. ↑ Frigo L, Fávero GM, Lima HJ, Maria DA, Bjordal JM, et al. Low-level laser irradiation (InGaAlP-660 nm) increases fibroblast cell proliferation and reduces cell death in a dose-dependent manner. Photomed Laser Surg 2010;28 Suppl 1: S151-S156. ↑ Basso FG, Oliveira CF, Kurachi C, Hebling J, Costa CA. Biostimulatory effect of low-level laser therapy on keratinocytes in vitro. Lasers Med Sci 2013 28(2): 367-374. ↑ Szymanska J, Goralczyk K, Klawe JJ, Lukowicz M, Michalska M, et al. Phototherapy with low-level laser influences the proliferation of endothelial cells and vascular endothelial growth factor and transforming growth factor-beta secretion. J Physiol Pharmacol 2013;64(3): 387-391. ↑ Agaiby AD, Ghali LR, Wilson R, Dyson M. Laser modulation of angiogenic factor production by T-lymphocytes. Lasers Surg. Med 2000;26(4): 357-363. ↑ Moore P, Ridgway TD, Higbee RG, Howard EW, Lucroy MD. 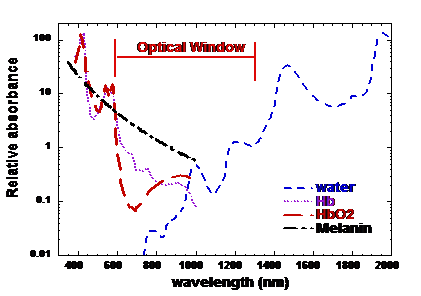 Effect of wavelength on low-intensity laser irradiation-stimulated cell proliferation in vitro. Lasers Surg Med 2005;36(1): 8-12. ↑ Smoot B, Chiavola-Larson L, Lee J, Manibusan H, Allen DD. Effect of low-level laser therapy on pain and swelling in women with breast cancer-related lymphedema: a systematic review and meta-analysis. J Cancer Surviv. 2015;9(2):287-304. ↑ Carati CJ, Anderson SN, Gannon BJ, Piller NB. Treatment of postmastectomy lymphedema with low-level laser therapy: A double blind, placebo-controlled trial. Cancer 2003;98(6): 1114-1122.